Google officially announced its new Pixel phone and its Daydream View VR headset today. The live stream of the presentation was watched by more than a quarter million people. 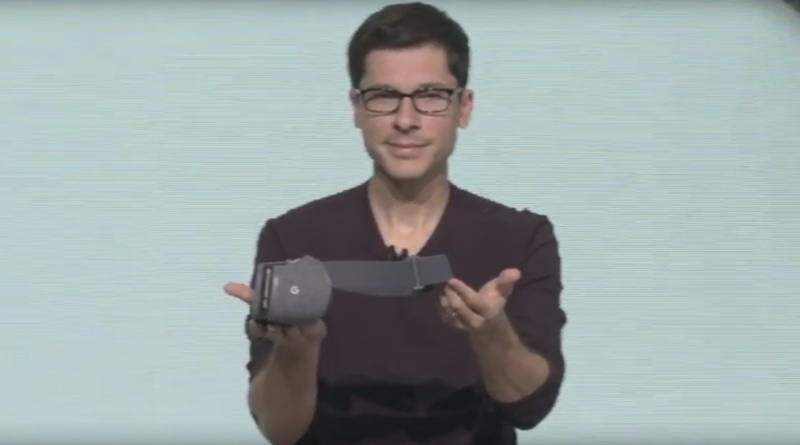 According to Clay Bavor, Google’s VP for virtual reality, the Pixels is the first phone to support the Daydream VR platform, which is built into the latest version of Android, Nougat. The Pixel is priced at $649 and, in the U.S., is available from Verizon and on the Google Store. It will go on sale on October 20. More phones are expected to hit the market soon. Daydream View will cost $79 and is due out in November, but, according to a Tweet from Google, will come free with a pre-order of the Pixel phone. The headset does not have a built-in controller button, but instead comes with a Bluetooth remote. The remote isn’t just a button. 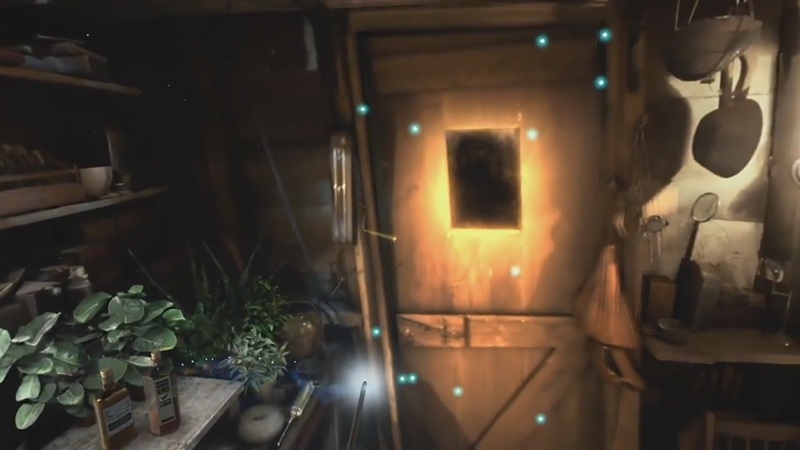 It’s also a motion sensor, allowing it to be used as an in-world pointer, weapon, or other tool. The headset is also very light. It weights less than 8 ounces — the Gear VR weighs 12. Another great feature of the new headset is that it’s designed to pair automatically with all compatible phones. All Daydream-ready phones will know when they are inside the headset and switch to virtual reality view, correctly calibrated to the headset. To day, smartphones need to scan a special Google Cardboard QR Code in order to adjust the image quality correctly for VR headsets. The one feature that Daydream View seems to be missing is an opening on the outside cover. Daydream View has a solid cover, so it won’t work with virtual reality applications that require the phone’s camera to be able to see out. And, based on early reports, the lenses are not adjustable. It is built to an open standard, so other manufacturers are expected to offer their versions of the VR headset as well. Currently, hundreds of manufacturers are selling their takes on Google Cardboard headsets, Google’s previous virtual reality standard. The headset is designed to bring Google’s virtual reality platform closer in performance to that of Samsung’s Gear VR. Samsung partnered with Oculus to develop high-end and unique content for the Gear VR, including apps for Hulu and Netflix. It has a smaller catalog of apps, and the apps cost more, but the Gear VR’s extra sensors make the Gear VR a better experience. Daydream View does not have any additional sensors. But the Pixel phone itself has better sensors, plus better graphics. And with the Daydream platform baked right in, any Android phone released with Android Nougat will be able to work with any Daydream-compatible headset. By comparison, the Gear VR only works with late-model Samsung phones. 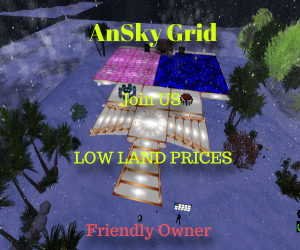 Another area where Gear VR was ahead was that it offered a virtual reality home environment where users could switch apps and videos without having the take the headset off and remove the phone. That wasn’t available on Google’s platform — until now. 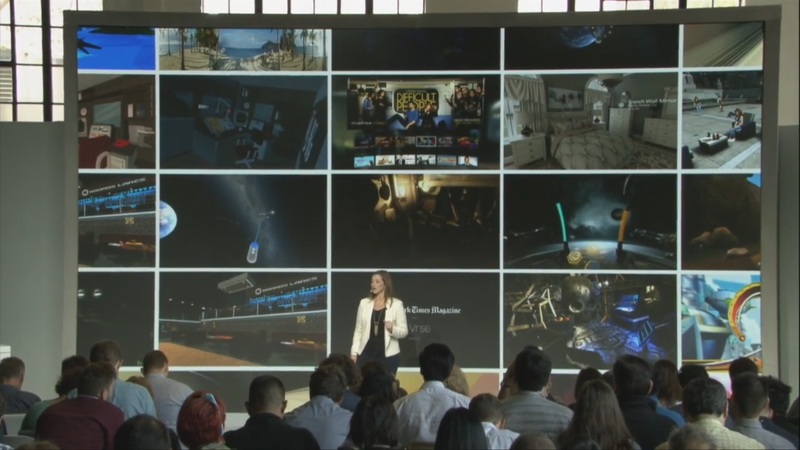 Google also announced a line-up of new apps for Daydream, including Hulu, Netflix, HBO, Jaunt, Invasion!, Ocean Rift, the Wall Street Journal, New York Times, the Harry Potter-themed Wizarding World, LEGO’s BrickHeadz, Gunjack 2: End of Shift,Ubisoft’s Hungry Sharks VR. Several of the titles were previously Oculus exclusives. And some of the new experiences are exclusive and Daydream. That includes the new Harry Potter game, where the controller transforms into a magic wand. 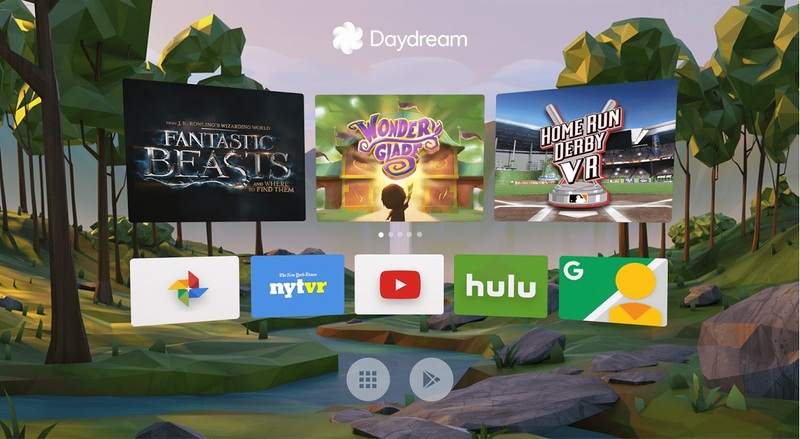 Google has also adapted some of its own apps for Daydream, including YouTube, StreetView, Google Play Movies, and Google Photos. 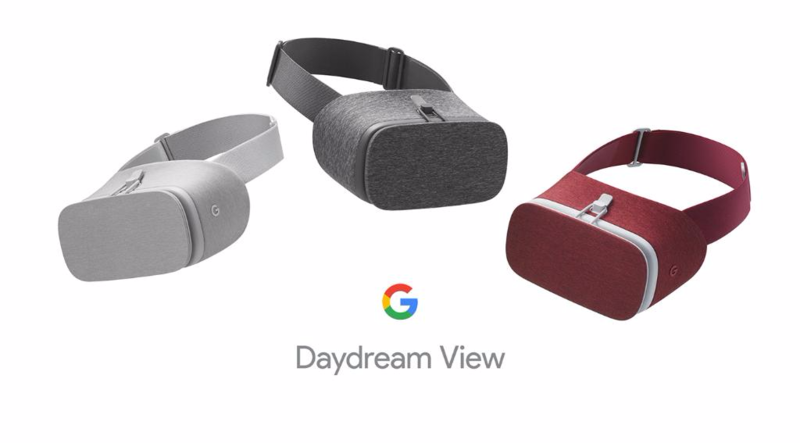 Watch Google’s Daydream View promo video below.